Brimming with even more winning wine facts. Hot on the heels of Olly's hit book Wine: Both Barrels, Behind Enemy Wines is brimming with even more winning wine facts from Olly's weekly wine column with tips and expertise on how to select the perfect bottle to thrill, titillate and delight your palate - whatever the occasion, budget or mood. 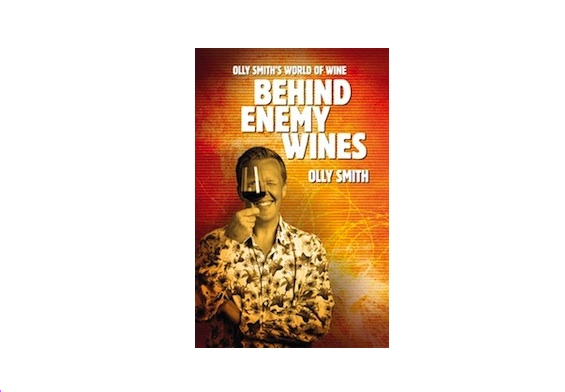 Behind Enemy Wines bring wine to life, embracing the exuberant passion of the foodie revolution and leaves you hungry and thirsty to find out more. Written in Olly's distinctively witty and charming style, this is a treasure chest bursting with glittering inside tips and anecdotes. Dive in to discover how to find wine, buy wine, store wine, serve wine but most of all enjoy wine to the max. Delivery is by 1st Class Royal Mail.